According to him, 1, 329 òf the affected workers are from the local government areas; 2, 184 from SUBEB, the Primary School Education system and 707 from the Pension payroll. The Deputy Governor, who spoke in the presence of the Commissioner of Police Amba Asuquo, the Director of the State Security Service, also dropped the hint that, all those who were recruited without authorization from the relevant agencies would be affected. Jonah listed the persons to include those working with computer generated certificates; those working and receiving salaries from multiple agencies of government, those enjoying indefensible promotions in contradiction to civil service rules; pension fraudsters, age falsifiers among others. He stated for instance that, the panel investigating the payroll fraud also uncovered 34 persons, who were found to have given themselves indefensible promotions in flagrant violation of civil service rules. For instance some workers on level 4 in 2011 were found to have promoted themselves to Grade level level 14 in 2012, with computer generated certificate. However, he said that, the state government had established a judicial commission of inquiry Headed by a retired Judge, Justice Doris Adokeme, which would be open to hearing complaints from the affected workers on Monday. He warned that, legal consequences await anybody found to have gone to the commission to make false claims. The Deputy Governor warned that, the state was determined to ensure strict implementation of the findings of the panel and would not be deterred by any kind of blackmail from any quarters. He lamented that, it was only in Bayelsa that somebody would work for a day and expect to get salary for a month. He said, “We have been carrying out comprehensive reforms not only at the councils but also at the Secondary schools, parastatals, pension payroll, civil service, grade levels verification and others. “There is massive payroll fraud in the state and the situation is such that are some earning double salaries; there are retired people in the payroll; those who promote themselves, and several retired personnel. In fact over 700 retired personnel are still in the payroll. Earlier, in an interview with journalists in Yenagoa, the State Commissioner for Information and Orientation, Mr. Daniel Iworiso-Markson, had stressed that, the Government would not allow a sustenance of the payroll roll fraud believed to have held down the state over the years. Iworiso-Markson was reacting to a recent three-day ultimatum issued by the National Union of Local Government Employees over a purported attempt by the state to sack 6000 workers in the local government system. The Commissioner, who wondered how NULGE came about the number of those claimed to have been affected in the ongoing efforts to purge the civil service of corrupt elements, said that, the innocent persons would not be affected by the measures put in place to check the endemic fraud and diversion of state resources. He, therefore, appealed to genuine workers of the local government areas not to entertain any fear, as the exercise was not designed to witch-hunt innocent workers. According to him, the reforms are designed to fish out and sanction a particular category of unscrupulous persons, whose acts are harmful to the State’s economic development and wellbeing. The Commissioner stressed that, the painstaking exercise conducted in a most transparent manner, involved leaders of the organized Labour, including NULGE and the Nigeria Labour Congress and how NULGE came about its spurious and curious claim. He stressed that, NULGE’s attack on the person of the Chief of Staff to the Governor, Rt. Hon. Talford Ongolo, was nothing different from a surreptitious attempt to arm-twist the government to abandon the comprehensive implementation of the reform process in the state. Iworiso-Markson lamented that, the efforts of a few criminal-minded individuals had been depriving the state of over N12 billion annually. The commissioner listed the benefits of the reforms to include Employment generations, increased for development of infrastructure, a strengthened civil service among others. He said, “Let it be clear that, the government has the political will to pursue the process of the reforms to a logical conclusion. The Governor of this state decided embark of the reforms to free the state from the grip of a few greedy elements. “The process of the reforms has been transparent from the beginning to this movement of implementation. “For us, only those who are benefitting from the heinous acts against the state and the Ijaw Nation would come out to attack the reforms. 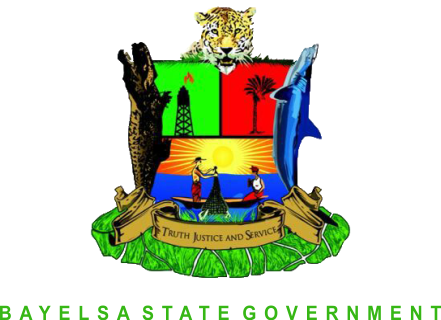 “The governor deserves commendation and the support of everybody and not condemnation.